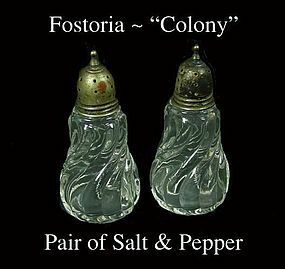 Fostoria Colony Pair of Salt and Pepper Shakers-Clean! 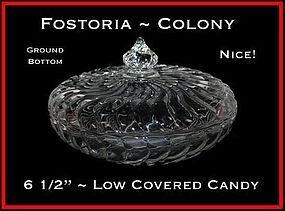 This pair of Fostoria Colony salt and pepper shakers are in excellent condition! 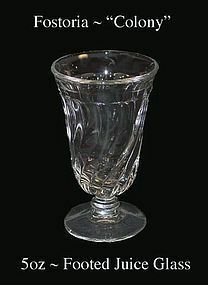 The glass is very clear, and not cloudy, but the tops need polishing. No chips, no damage. 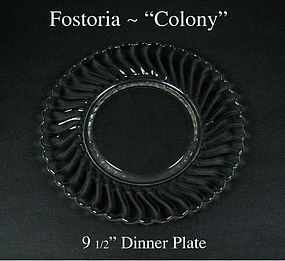 This Colony 9 1/2" dinner plate was made by The Fostoria Glass Co. There are no chips or damage, and only very light use. 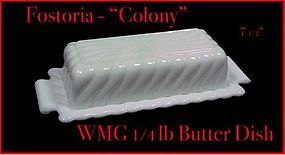 This Colony white milk glass quarter pound butter dish and cover were made by Fostoria in the 1950'S. Stunning! 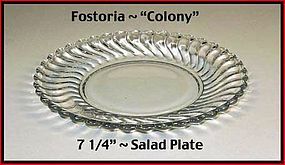 High quality and in excellent condition! 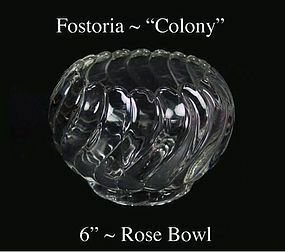 This Colony Rose Bowl was made by The Fostoria Glass Co. in the 1950's. 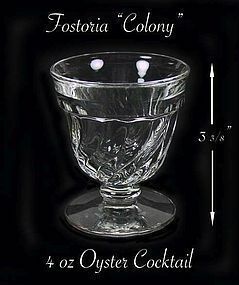 It is in excellent condition and the glass is bright and shiny with NO CLOUDINESS! 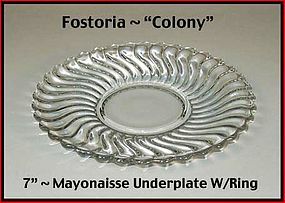 These Colony footed juice glasses are in excellent condition. The glass is bright and shiny. 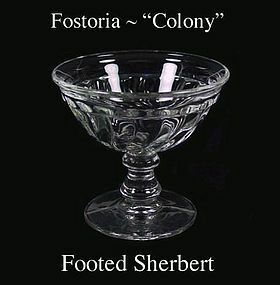 Elegant Colony sherberts made by The Fostoria Glass Co. in the 1950's. Excellent condition! 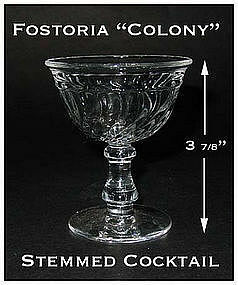 One of these Fostoria cocktails still has the original label on it. They are both in excellent condition! 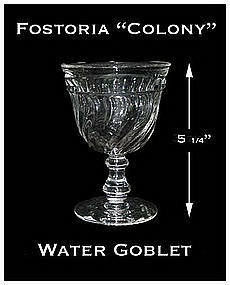 These Colony water goblets are in excellent condition. The glass is bright and shiny.